When it’s time to look for a colocation provider you may find that comparing data centers can be both confusing and complicated. There are a number of variables to consider to identify the best provider to meet your needs—and multiple factors that will impact your decision. 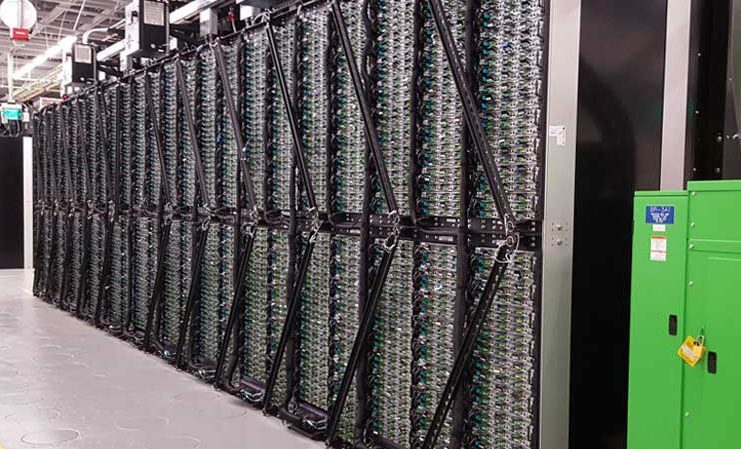 This Ultimate Data Center Colocation Checklist will help you stay focused in your search. How important to you is each of these resources? Do the data center resources meet your requirements? External Security—When considering external security factors, fences, site access, locks, gates, security guards, windows, location, parking, structure, are just some of the things to consider about the outside of the data center. Internal Security—When evaluating internal security, you can generally tell as soon as you step on site how important security is to a potential vendor. Consider things like whether dual-factor identification is required. Does the vendor provide cages, individual locks, biometrics, and card accessed doors, cameras, 24/7/365 monitoring from the Network Operations Center (NOC), security logs, stored security footage, security trained personnel, and the like? Most importantly look for a culture of security—does the security inside the data center ensure that your servers are protected? Logical Security—When it comes to other security, consider whether the data center validates performance at optimal standards regarding security, availability, and operating integrity for its systems. Does it have audits or certification from a third party security standard like SAS70 Type II and SSAE16 SOC 1 Type II? PCI, HIPAA, SSAE16, etc. —If the nature of your business requires you to meet regulatory or industry compliance standards, your data center also needs to be compliant. Data centers that meet these standards regularly have third party audits to ensure certification. Always ask to see audit results and certifications of any provider you are considering. Redundant Isolated Path Power Architecture —A redundant isolated path power supply can be a critical part of the equation when selecting a colocation resource. The option for A+B power provides the one of the highest levels of power critical system redundancy. How long can the data center keep things running in the event of a local power outage? What level of service can they provide while on backup power? The facility should have a 100% uptime Service Level Agreement (SLA) for power and redundant power systems. How secure are their generators and are they regularly monitored? Do they have independent fuel storage in case a generator is needed for extended time? N+1 Redundancy —Efficient cooling is a bigger concern than it might seem. Efficient cooling is required for server racks to maintain a working environment without raising costs, so it’s an important part of any checklist. Can the facility reliably deliver cold air at the volume and location required to cool very high densities of computing? Multi-Homed Internet Bandwidth—Bandwidth and connectivity play a big role in the success of your applications. The ability to provide sufficient bandwidth, with multiple, redundant Tier 1 providers, high capacity fiber, and routing is paramount. If you can’t access the colocated server or the service is too slow or non-existent, how would that impact your business? Future Needs —If you’re looking at colocation, you are most likely in a growth stage. Consider the data center with regard to your future needs. Do they have the space and resources for you to scale up? Redundant power, cooling and bandwidth providers are just the basics. Do they provide managed service solutions, disaster recovery, cloud hosting? Make sure to select a data center partner that can grow with you or who is willing to work with you if your organization needs to scale down at any point. Weather/Geographic Stability—Weather and geographic stability is very important when it comes to selecting a data center colocation resource. Where is the data center located geographically? If it’s in a place with frequent weather conditions like hurricanes or ice storms, this may be a concern for you. Earthquakes and other geographical instabilities may be an issue as well. How important are weather issues to your business? Power Grid/Power Plants—Your colocation facility should be able to show you where it lies on the power grid and list the location and capacity of the nearest power plants. Power is the lifeblood of a data center. Without power or connectivity, you don’t have a data center. Proximity—Proximity may or may not be an issue for you. But an important consideration is whether you want your colocation facility closer to you for physical access or further away for stability—in the case of disaster. The ideal location of your colocation provider will be specific to your needs. Customer Service—Customer service is an important consideration. Make sure you know exactly what kind of customer service access you can expect. Inquire as to whether the facility is staffed 24/7 or only during business hours. Are representatives available by phone, email or both? Are they engineers or basic customer service agents? Customer Satisfaction—Satisfied customers who provide testimonials or customer references are a great barometer of what you can expect from any prospective vendor. Look for testimonials or ask for customer references, and then contact them, to ensure that the colocation provider has a proven track record with other clients. Engineers matter — There really are no reasons to go with a colocation provider that doesn’t have actual engineers who are involved in all aspects, from architecture to maintenance to issue resolution. Uptime & Reliability —Service Level Agreements (SLAs) that fit your needs are crucial to ensuring that you get the level of service you require. Are you okay with the uptime, response time, and other critical aspects of the contract for the price? Inspect What You Expect —You are colocating for the infrastructure and the resources. If the provider doesn’t perform regular maintenance and testing, you can’t be sure of reliable service. Reports on system health and testing are available from good service providers. RPO/RTO Needs —Disaster Recovery Options vary. It’s important to know whether the data center offers Disaster Recovery as a Service (DRaaS) or whether it provides any options for your disaster recovery team? Is this your primary or secondary site? Office Space—If you need to have someone there, is there office space for them to work? Loading Docks & Storage—What facilities infrastructure is there? Additional amenities—What additional amenities exist? Are there lounges, workspaces, conference rooms, or wifi available at the data center? What about food or coffee? After going through the checklist, you’ll need to evaluate the answers to each question to determine its importance to your business. Access requirements differ for every organization, but there is no such thing as too much security. We recommend looking at each item on the list with this additional question in mind: “What happens if they don’t have it, and we need it?” If the response is, “We’ll be okay,” then you’re fine. The questions you answer, “That’s not an option,” to are the essentials and will factor heavily in the choice of your colocation provider. Is there something you think we’ve forgotten on our list? Is there something you feel shouldn’t be on here? Your comments and insight are valuable to us—we’d love to hear what you think.